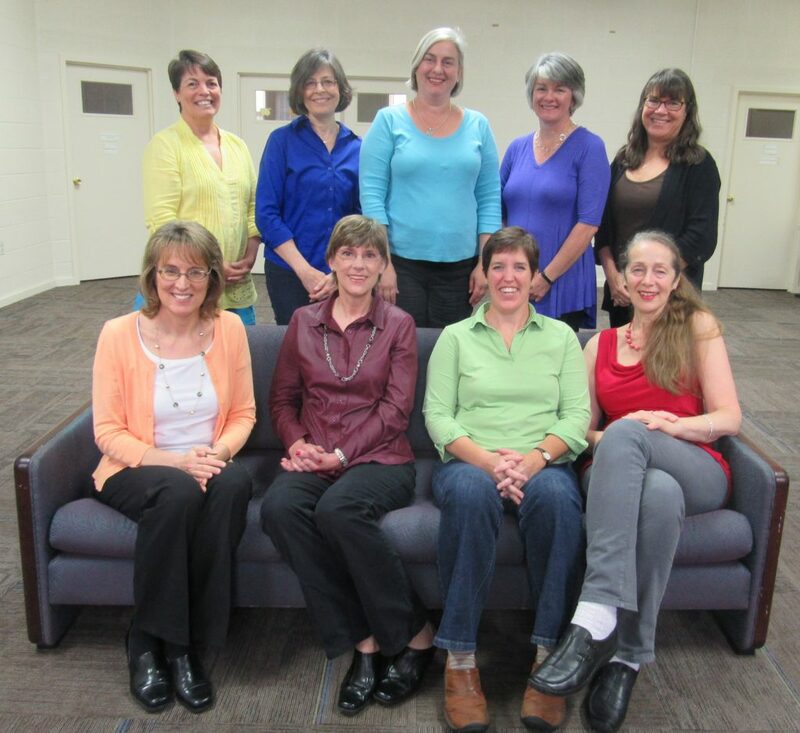 PEP Staff: (front left to right) Kathy Hedge, Michelle Fannon, Colleen Reed, Antoinette Kranenburg (Back left to right) Kate Campion, Patti Cancellier, Ashley Mattison, Trish Pannuto, Sue Clark. PEP has one full-time and ten part-time staff members, plus more than 200 volunteers who are dedicated to supporting PEP’s classes and programs year-round. In addition, the 13 members of the board of directors guide the organization toward achieving our mission through their contributions of time, expertise and resources. The board works to ensure that adequate resources are available for PEP to fulfill its mission while providing strategic planning and oversight and financial controls. Why do you enjoy working at PEP? I love working at PEP because of the opportunity to get to know so many dedicated, kind, encouraging people. PEP helped to transform our family life. And my own life has become far more balanced and fulfilling. I believe the dedication of the class leaders, board members, staff and volunteers are strengths and the parenting skills taught through our classes make a huge difference for families. I feel very fortunate to be able to do something that makes a positive difference in people's lives and to know so many people who have given so much to PEP. As a family we benefited from the classes and ongoing support through the years. PEP has a dedicated staff and loyal, hardworking volunteers. The organization models the values that we teach in our classes--respect, responsibility and social equality. We help people find the way to a more encouraged family life and work life. PEP has given me invaluable tools that have enriched my life--not just with my children, but with all relationships in my life. Working and teaching at PEP gives me an opportunity to keep practicing those tools. I have found that through PEP I can help struggling parents find ease and pleasure in the work of raising children. I get a huge sense of satisfaction from the relief and happiness I see on those parents' faces. It feels like I'm helping to make the world a better place. I can't imagine a more important task than parenting, and PEP deserves whatever time and energy I can give. My kids are now self-sufficient young adults, and the pleasure of watching them continue their self-development, make unique and important contributions to society, and develop loving and productive relationships is priceless. I think PEP's greatest strength is recognizing and bringing out the great variety of strengths in people, particularly our class leaders. We do not look for leaders who conform to a certain style or personality. Instead, the parents who take our leadership training discover and learn to share their particular strengths as teachers. The success of this approach is evident in our consistently high evaluations from class participants. There is a culture of service and collaboration that comes naturally. PEP teaches a parenting theory and tools that work. Perfection is not the goal, we are always working to improve and we love the process. PEP offers a framework that WORKS, in all relationships, not just parent-child: marriage, sibling-sibling, coworkers, friendships. PEP helps develop skills you use every day, throughout life, to enrich all your relationships, and to personally evolve. I've made many lifelong friends here. I can't imagine navigating life with kids without PEP. Kids are wired to grow and change, the notion that we as parents don't also have to grow and change is crazy. The skills I have learned not only help me with my kids, they help me in all my relationships--from my husband to my siblings and my friends. My experience at PEP, from student, to leader, to staff person offers me tangible hope that I can raise my children and help others on the same journey. PEP helps you to bring out the best in yourself and in others.